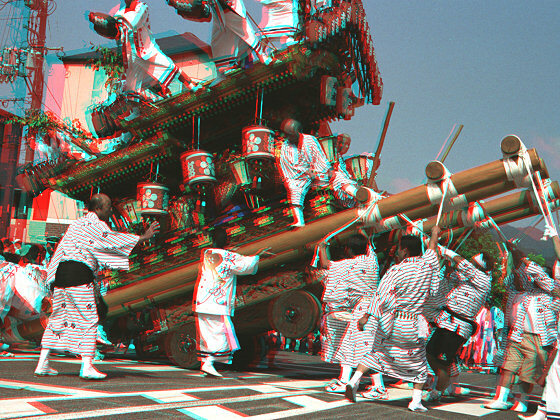 Performance which it has bounded and rotates the front part of Danjiri Float round and round is performed. A back lever like Danjiri Float of South Osaka area is not attached. The front part is shouldered and raised also when changing a direction.